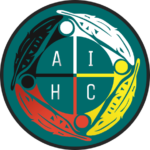 The American Indian Health Care Delivery Plan is a collaborative effort between the Washington State Department of Health (DOH), the American Indian Health Commission for Washington State (AIHC), and Washington State Tribes. Since 1997 the plan (and its subsequent updates) has served as a framework for Tribes, Urban Indian Health Organizations, the Commission, and Washington State to address a shared goal of improving the health status of American Indian/Alaska Native people (AI/AN). Please click here to read the American Indian Health Care Delivery Plan. American Indian Health Care Delivery Plan 2010-2013.